When the melt pump in extrusion is not in use, it can be disassembled and assembled for cleaning and maintenance, but disassembly and assembly is not arbitrary, there are still many places to pay attention to. Next, let's look at some matters needing attention when disassembling and assembling. 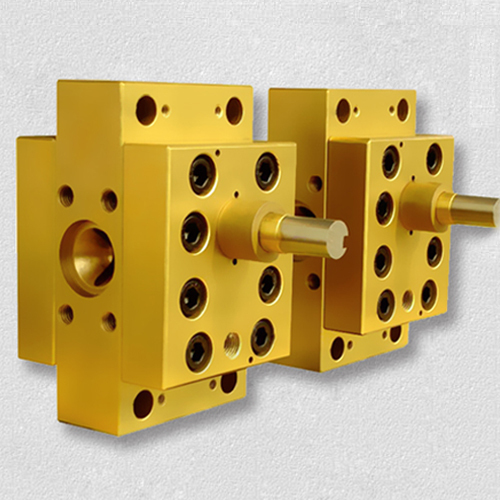 First of all, when disassembling and assembling the melt gear pump, it must be done according to the original set, that is to say, the whole set can not be disassembled, nor can it be replaced. This will affect the later installation, can be recorded by digital, so that chaos can be avoided. Secondly, for new or calcined pumps, before assembly, each part must be cleaned in pure gasoline, and then assembled after the gasoline is fully used. In fact, the purpose of this is to make the parts better used. Thirdly, when disassembling and assembling, the whole working environment and worktable must be tidy and clean, and there should be no sundries and metal chips beside them. Otherwise, when the melt metering pump is running, these sundries will easily enter the pump, affect the accuracy and cause damage to the metering pump. Therefore, it is necessary to ensure the stability and safety of the surrounding environment. Only then can the melt metering pump be disassembled and assembled. Finally, when assembling, it is also necessary to pay attention to the storage of various parts, so as to quickly install. In short, in the process of dismantling and assembling the melt metering pump, there are many small details that need to be noticed. Otherwise, when disassembling, there will be problems, then the problem will be greater. Therefore, when disassembling, we must pay attention to the preservation and classification of spare parts, the whole set of parts can not be less, in order to install normally. pre:Is the outlet pressure of the melt pump negative?